RA Sushi menu prices page is here. RA Sushi is a restaurant that specializes in Japanese Fusion Cuisine as well as sushi catering and takeout. Unlike other Japanese diners, RA Sushi is noted for its upbeat and fun atmosphere, perfect for eating with friends. Below are the latest RA Sushi menu prices. The Hook-up is RA Sushi’s preferred customer email newsletter program. By signing up. members will be the first to learn about current food and drink promotions, upcoming parties, and scheduled events at RA Sushi. Ra Sushi offers a rich assortment of appetizers including tempura favorites like “RA”Ckin’ Shrimp, Edamame and Calamari. For the appetizers, you can choose from Lobster Spring Rolls, Garlic Citrus Yellowtail, Chili Ponzu Yellowtail and many others, and if you’re dropping by for lunch there’s Chicken or Salmon Teriyaki, or Vegetable Tempura. If you’d rather have salads, you can get some sashimi, pineapple grilled shrimp or Asian Chicken. Apart from the varied menu items, Ra Sushi also boasts of live music, innovative cocktails, and an energetic crowd. Of all the dishes here though, there’s no question that sushi is the centerpiece, with their signature rolls among the most in demand. The restaurant also has a Happy Hour as well as the Las Vegas roll, which is a must. Other specialty rolls you might want to try out are the Lobster Shrimp, Tootsy Maki, “RA” Llipop and Crazy Monkey Roll. In addition, there are several sides available including rice and vegetables. 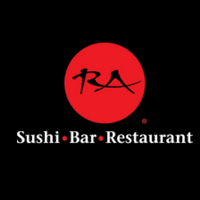 For more information about Ra Sushi, visit their official website. What time is Happy Hour at RA Sushi? Does RA Sushi accept reservations? RA Sushi accepts reservations via phone or on their website through a third-party app.